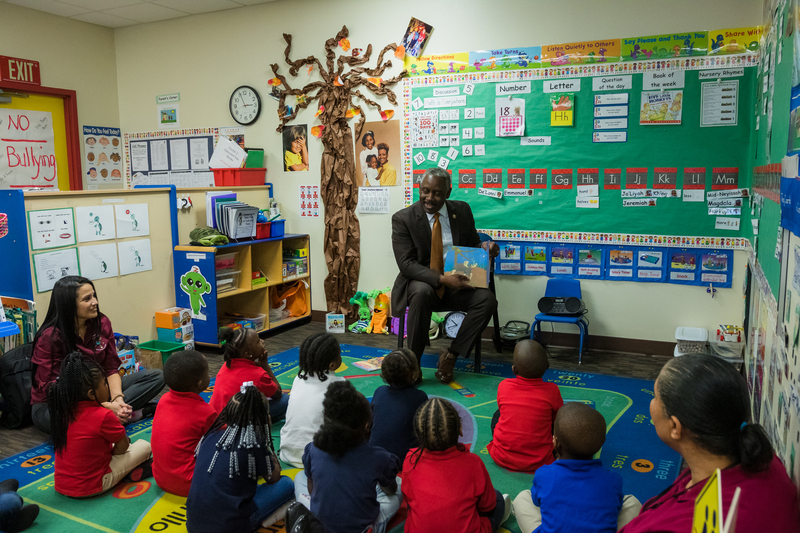 Mayor Demings sat with students and read “One Duck Stuck” by Phyllis Scott, as well as “Phillip Willing Howard III” by Orange County employee Eddie Engram, to a class of about 20 students. Both books focused on the importance of helping others and being kind to others. OCHS has a shared governance system between the Board of County Commissioners; the Policy Council – which is made up of parents 51 percent and 49 percent community partners; and Orange County staff. Head Start serves more than 1,536 children ranging from 3 to 5 years old at 22 centers across Orange County serving families and communities who are economically disadvantaged.